Product prices and availability are accurate as of 2019-04-20 14:45:34 UTC and are subject to change. Any price and availability information displayed on http://www.amazon.com/ at the time of purchase will apply to the purchase of this product. 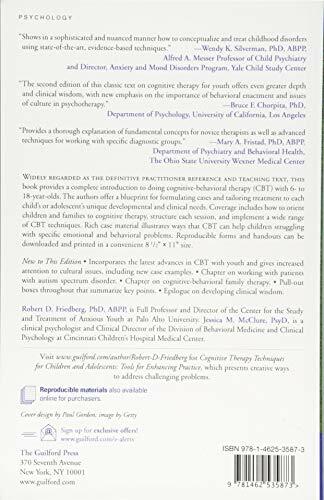 Widely regarded as the definitive practitioner reference and teaching text, this book provides a complete introduction to doing cognitive-behavioral therapy (CBT) with 6- to 18-year-olds. 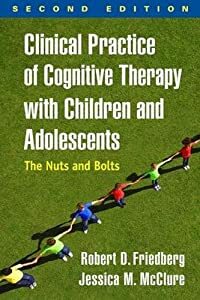 The authors offer a blueprint for formulating cases and tailoring treatment to each child's or adolescent's unique developmental and clinical needs. Coverage includes how to orient children and families to cognitive therapy, structure each session, and implement a wide range of CBT techniques. Rich case material illustrates ways that CBT can help children struggling with specific emotional and behavioral problems. Reproducible forms and handouts can be downloaded and printed in a convenient 8 1/2" x 11" size. *Incorporates the latest advances in CBT with youth and gives increased attention to cultural issues, including new case examples. *Chapter on working with patients with autism spectrum disorder. *Chapter on cognitive-behavioral family therapy. *Pull-out boxes throughout that summarize key points. *Epilogue on developing clinical wisdom. 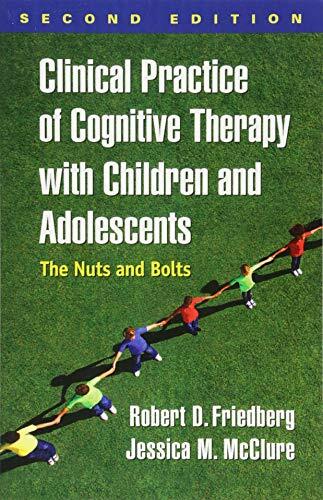 See also the authors' Cognitive Therapy Techniques for Children and Adolescents: Tools for Enhancing Practice, which presents creative ways to address challenging problems.